Thank you so much for your posts and your work is inspirational to me…Claudia – president of mcm where I post, referred me to your blog a few times the past months and then insisted I read all your recent posts. Great work…and not coincidentally conveying a similar message from a process I call market structure analysis and projection. A set of cyclic algorithms that I wrote ti help understand statistical probabilities of markets. Something I would love to discuss with you at some depth because i think there is room for lots of development and your work is terrific. Maybe there is an edge for both of us. My MSP data that shows a serious problem here for the markets on a cyclical/structural level for the next few months – statistically bias is down for the next 2.5 to 3 months from MSP. Moreover, my daily market structure projection work is pointing to a serious risk here…I am not posting here to promote my blog but because i think you are on it – this is an extreme inflection point is seems. I wonder if the Fed indicating rate hikes are assured this year is the proverbial straw that breaks the camel’s back. Given so much leverage in the system, the idea that the Fed is taking away the punch bowl (even if very gradually) may cause some people to move to the exits, which will then begin to feed on itself. Why does this remind me of Chuck Prince’s famous quote back in 2007? John, one of the biggest similarities between the late 1920s and now is the dramatic increases in central bank reserves, causing a bubble in credit the world over. This paper is worth reading, the section on CB reserves is on page 3 (in a grey box). @Mark, I replied to your little dig on the previous post. You are amongst many that read a lot, but have difficulty in separating the wheat from the chaff. I remember your outburst directed at Allan a while back, your emotions seem to run a bit hot at times. That’s your weakness, I do hope it doesn’t cost you any more money. I love both your comments. 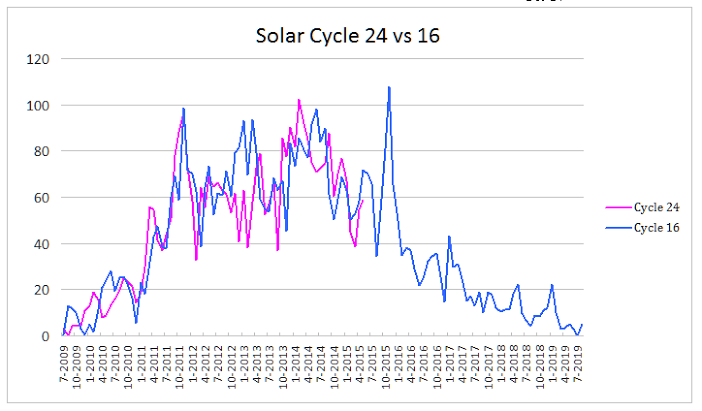 Mark has been right on regarding a late solar max peak, so he hasn’t lost by shorting early. GM brings a great fundamental perspective. JH, I appreciate the two-sided view. 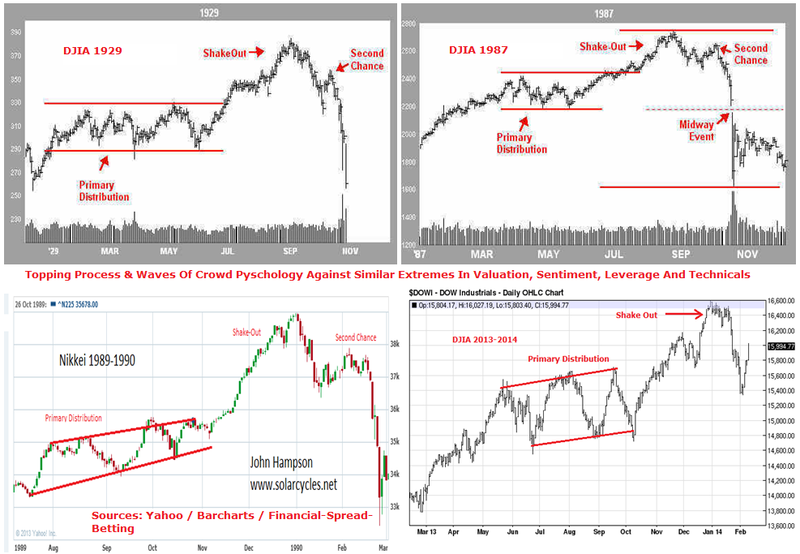 What is your take on the IBB chart? Could it be a shakeout, or a second chance? The price range it has entered wouldn’t be a typical topping pattern to such a parabolic chart, but it nonetheless shows the strength divergences of the previous attempts at peaking. News: bull, fomc announcement days “most” of the time bullish in days after. Summary: Fully invested in US equity etf. Will remain long only until this Friday as all indicators flip bear next week. 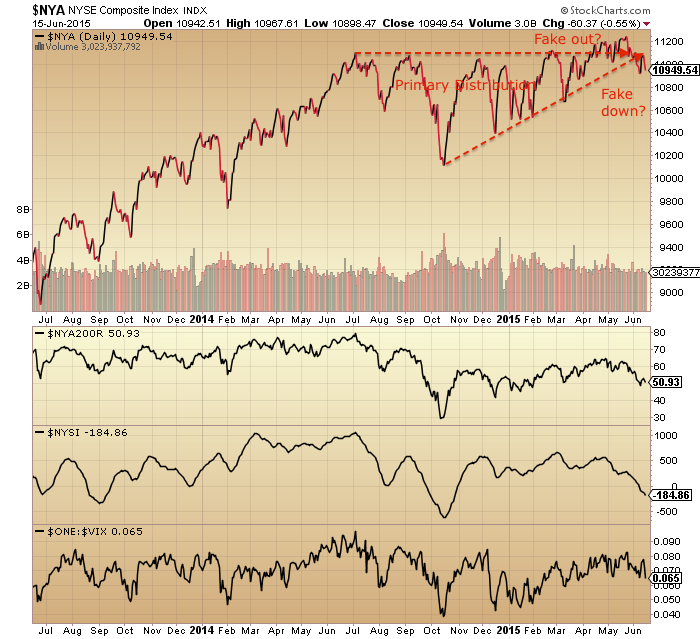 Thin volume and ever increasing divergence on SPX makes it mire likely to resolve to the downside. However in my book unless we breach the 9th June low I am not adding shorts at this time. 6/17 1:07 ET Spiral update – Lab 7442 Live looking for 2057, 2041 and 2025 possible by Friday. Also a cautious reminder for those who trade options on SPY that this Friday Jun19 is ex-dividend date. Doesn’t the option strikes get adjusted? No, SPY shareholders collect the dividend and option players get shafted. Steve T, i haven’t seen where it was posted the SPY ex dvd date is 6/19. wouldn’t that indicate the dividend of about .93 cents is priced in through tomorrow’s action and should be down by .93 on Friday excluding trading activity? Hi all ! Market is up nicely after the FED. The FED doesn’t want to see a down day today. I’m still following my strategy with AAPL, IBB and QQQ, although the past few months have been flat. Nothing to worry about. I’m sure central banks will continue to support the market. now 210.15 after hours 3:40 CST. below yesterdays close of 210.25, below today’s opening price of 210.59 and well below Yellens’s FED induced punch bowl of 211.32. yep ….sure looks like Nic’s fraudsters have it all figured out. at the moment, i’m diggin my 211/211.50s and my 212/212.50 credit call spreads. of course it can all change in a flash, but I like my chances. So are they called? Or is it an ex-div thing? Were the calls assigned and dividend charged to you..IB did something like that few months back and I want to Know. Hasbro, Inc. (HAS) the owner of Milton Bradley gained 2% after the Fed announcement today. DJIA is up 160+ points and the FTSE is up 16. 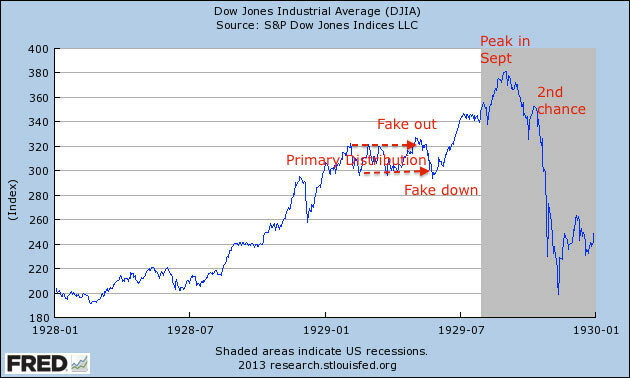 Used to be that the FTSE used to be approx 50% of the DJIA move. So I’ll ask again….who’s leading who? The Dow is leading. Following the excellent FED meeting yesterday, it’s very rational to have a big up day today. It was very easy to forecast. I’ve added to my QQQ this morning and initiated a position in CRM. Again, there’s no bear market in sight, and central banks are doing a fantastic job. Everybody should be happy. Are you looking at the same Dax I am Krish? I recall you buying around 1,000 points higher when it looked ready to roll over. 11,000 was a support level, but I reckon it’s headed down to 10,000 in very short order. It may be worth a nibble at 10k. The SPY bouncing hard today is just the last twitches of a dying bull IMO, air pockets lie ahead. I managed to trade the dax and have made 1000 points going long during this decline. A bit of luck was also involved. I can see the U.S. Markets declining 10-15% but I think the dax is close to a bottom if it hasn’t already been. A Greece solution will send it to 12000 in short order as buyers flood in with all the cash they have sitting on the sidelines. I went long at 10816 earlier today closing for 44 points profit. Could have been a lot more if I had been patient! Greece is irrelevant Krish. 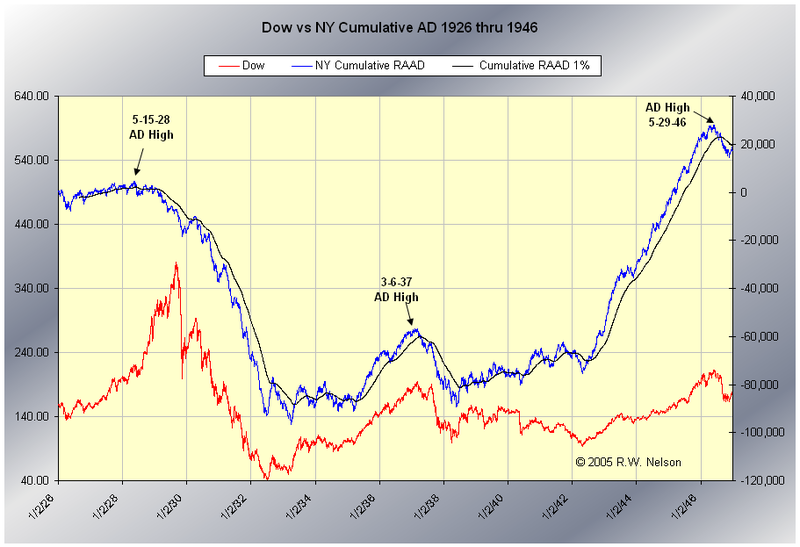 I hope your luck holds, but I believe you are now trading against the primary trend. Don’t get wedded to a view. Nicolas, unless the Brits have ‘gone awol’ you’ll find that they are leading. Please warn your friends at the Fed too. Would hate for them to be left holding the bag….or maybe not. 6/18 12:25 Next target for high 2122 esu5. Peggy, I hate to be critical but you did it yet again. Your original thesis of a big up move from Jun 6 to Jun 20 is essentially correct. However, on Jun 15/16 near the lows you or Lab7442 suddenly “switched” perspectives and gave much lower lows like 2041, 2058, 2061, etc right near the market lows. FWIW history backed up a big run up into late this week either Jun 18 or 19, because the last four quarters when SPY went ex-dividend it had huge final two days to end those weeks … Jun 20, 2014 Sep 19, 2014, Dec 19, 2014, Mar 20, 2015, and now Jun 19, 2015. The reason is because the Expansion high usually comes in during Octet 6 – yesterday and today – which is why the wave down yesterday forecast lower targets. When the next wave 1 down and wave 2 are in place, the trend will be down to near 7/2 (usually the low occurs during Octet 2 – July 3) I’ll post price targets. News: bull, fomc announcement days “most” of the time bullish in days after. And as Steve T. points out tomorrow is ex dividend. Summary: Fully invested in US equity etf since Wednesday morning. Will not be long past tomorrow as next week lunarily crystal clear bear on all metrics. I don’t think anyone knows. IBB could go up 5% more and the bulls will say I told you so, 9/2015 parabolic peak. Or it could go down -5% and the bears will say everyone was stopped by marginal new highs, and now it will go down. Staying safe right now, unless I get a concrete signal. John Li, what’s your definition of ‘concrete signal’ please? I’m pretty much in the same boat as you….but not knowing ‘when’ to ‘dip a toe’. One example tonight: Shanghai is -10% off peak and getting headlines. 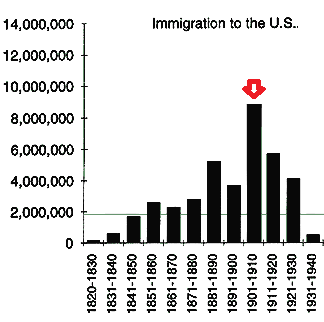 Could that cause a stampede deleveraging? Another example: Greece actually defaults. Another example: For the 2nd weekend, people expect China RRR cuts, but do not get easing. But yeah, I was just ranting. I don’t know what a concrete signal is until I see it I guess. Something more than the price going up or down, leading me to chase mindlessly, especially how it keeps going up when Greece gets closer and closer to default. Thx John Li. I understand your frustration & your approach. You’re right to say we’ll know when we see it. Just hope we get to catch some of it. Surprise surprise, no signal from the Fed on a rate rise now anticipated December 2015. Does ANY CB have even an a single iota of credibility left? I personally know many bond traders and many are close to quitting the market altogether. Well done Drahgi,Bernanke/Yellen/Kuroda et’al. You have destroyed any chance whatsoever of a return to reasonable long term growth, possibly decades to come. We had our chance to take our medicine several times over the last decade and a half but instead opted out for the short term scenario. This sickens me beyond description. Thankyou again for a great article John……back to lurking. Yesterday or the day before the spiral was looking for a low of 202x….that was of course wrong, as all systems are on an ongoing basis. It is impossible to predict the future although this spiral seems to catch some of the ebb and flow of trading for periods of time. BUT do NOT be fooled. There is no single system or process that can predict the future, so do not risk more than you can afford to lose. Q (Jegersmart): the system was looking for a low of 202x very recently. It didn’t get there, not anywhere near. In fact the market over the next session or so went in the opposite direction. I guess I was right about something then: all systems are flawed? A: (Peggy): No Jegersmart, the reason the spiral was right is because the Expansion high comes in during Octet 6, which is why it forecasted lower targets yesterday. When the buying has stopped we may head down again probably into 2nd or 3rd July. Q: (Jegersmart): so what you are saying Peggy is that although the price went the opposite way, the Spiral was still right, it just looks wrong because of the Octet 6? But even if the system threw out a wrong number (in hindsight) – it wasn’t wrong because you interpreted it incorrectly? i.e. you should have known that the Expansion high was due in Octet 6 but forgot and therefore it is not the fault of the system? The problem I see here quite often on this site is that most people are wrong quite often – including me of course. This is normal, it is something to be embraced. No one can predict the future. Not 7442 Analytics, not LTCM and so on. Please do not take this as bashing the system. Take this at face value from someone who has seen all systems fail along the way….